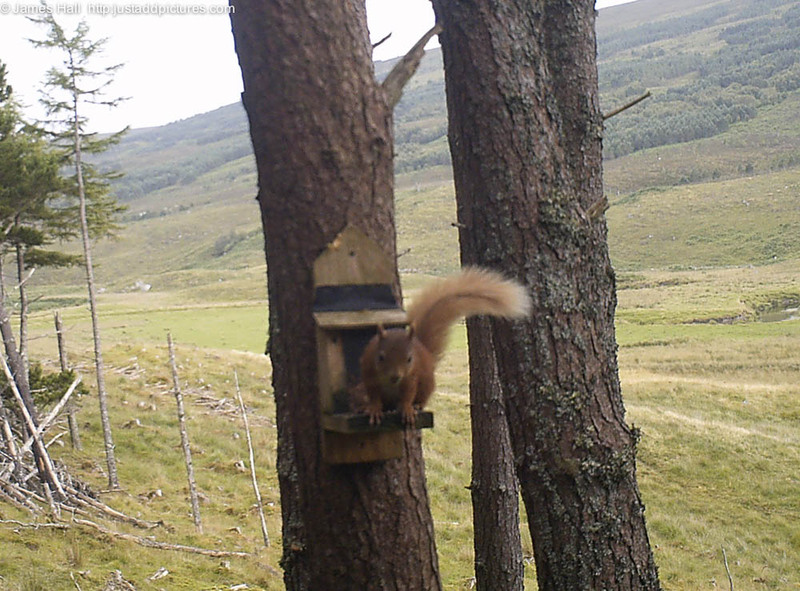 I thought I ought to put the camera up to see how our red squirrels were doing, as we had not seen one for a bit. The first squirrel came to the feeder within one minute of my having set the camera and two of them came regularly every few hours for two days until they had emptied the feeder. We knew the feeders were still being emptied but weren’t completely confident that it was squirrels who were doing it. On this feeder at least, it was squirrels alone. There were certainly two as I could make out both in one picture but might possibly have been more. Good news anyway that they are continuing to prosper with less regular feeding. They are probably spreading as well, but it is difficult to know how far they might have gone. This entry was posted in Uncategorized and tagged Croick Estate, red squirrels, wildlife. Bookmark the permalink. Hello. I would like to publish this photo, or a similar more recent one, in Ardgay & District Community Council newsletter. Do you think it would be possible? This would be fine. I will send you a copy of the image over the weekend.